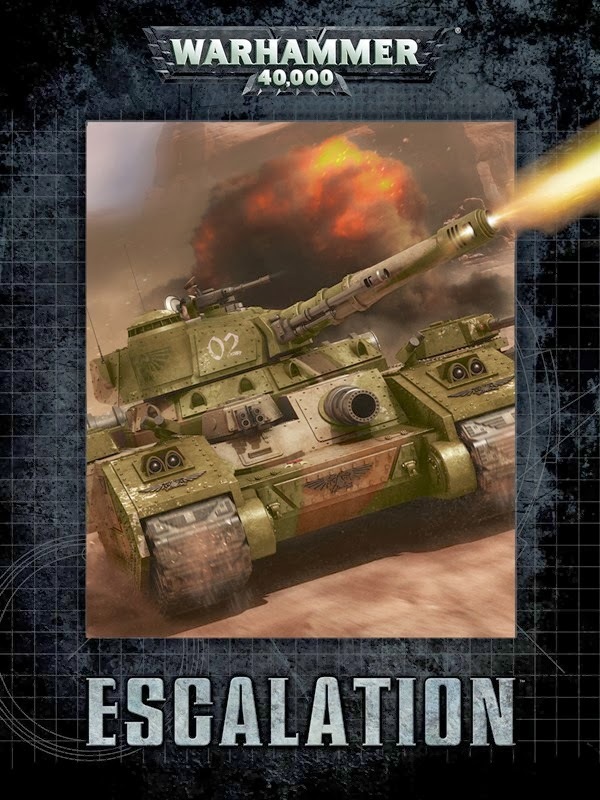 Escalation and Stronghold Assault and Formations, Oh My! I've held off writing anything about these for a while in part because of the widespread, visceral reaction I was seeing, but also because I didn't have a chance to read the books themselves, let alone play using the rules. I still haven't played a game using any of these new rules (except Be'lakor), but I have been able to read through some, and also just had more time to process what they mean. Now that I've had some time to look back at my collection of Space Marine 1k lists, I've been toying with some differing ideas. 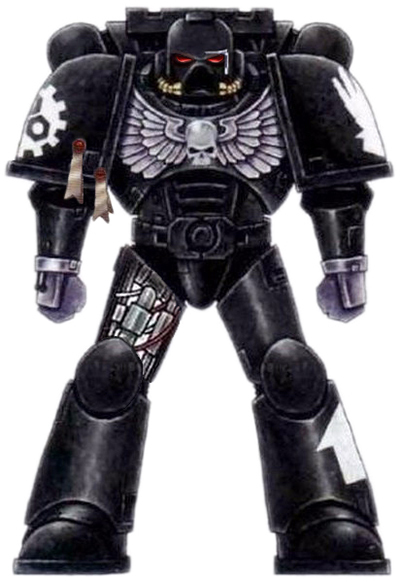 Raven Guard strike me as my favorite, and probably one of the ones I'm most likely to run in my theoretical "someday" Space Marine force. Looking specifically at my previous Raven Guard List, I've seen some room for improvement. Two weeks of insanity, Pre-codex Tyranid prep. I am making a few educated guesses based on the rumors/leaked photos regarding the Tyranid release as I prepare my list for the Dark Star GT in March 2014. 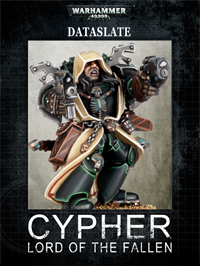 On the final day of Games Workshop's Advent Calendar (25 days of pure terror to some), the final release was Cypher, a figure clad in mystery and the most infamous of the Fallen. I couldn't help myself and picked it up. Next up in the Horus Heresy Series is Nemesis, by James Swallow. Ever since Flight of the Eisenstein, I have looked forward to reading more of his work. Listening to the Garro Audio dramas he wrote were fun, but I didn't get the same feeling from them as his novel. 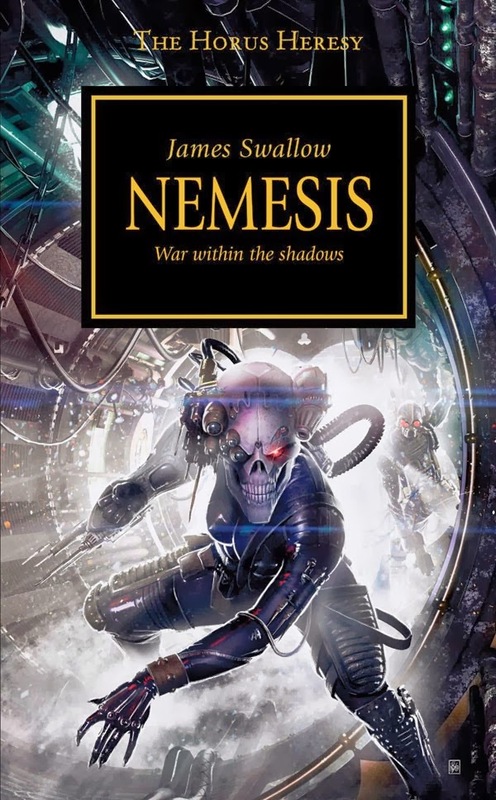 This novel focuses on the Officio Assassinorum and agents of its five clades: Eversor, Callidus, Culexus, Venenum, Vanus, and Vindicare. As with recent reviews, I will put the spoiler alert here: below the jump I will not hold back details I think are relevant for discussion. With Evan putting out a lot of the book reviews for the Horus Heresy, I decided to take a stab at doing a few reviews of my own. These are not the monsters of the Horus Heresy but the short stories provided through the Black Library Advent Calendar. So far I have picked up Bjorn: Lone Wolf, Torias Telion: The Eye of Vengeance, Kor'sarro Khan: Huntmaster, Azrael: Protector of Secrets, Kayvaan Shrike: Shadow Stalker, Logan Grimnar: Defender of Honour, and Astorath the Grim: Redeemer of the Lost. This is a bit of a Spoiler Review but it should be noted that if you are still interested, I would pick them up. They are quick and a good read that helps with understanding the different heroes but I am only going over the ones I have read so far, Bjorn, Telion, Azrael, and Grimnar. On Sunday, I made my way to Huzzah Hobbies for their monthly RTT. I had to be in DC again for work, and having seen the recurring tournament on Torrent of Fire, I thought I would head up a little early to get some gaming in. The regular tournaments were at 1,999+1, so I had to work some things around from my planned SCARAB list to make up the points and also make up the pieces I didn't have; namely, two of three spores. Walking around the hall as people were setting up, it was quickly clear that there was more to differentiate that from my LGS's monthly tournaments than just the points. 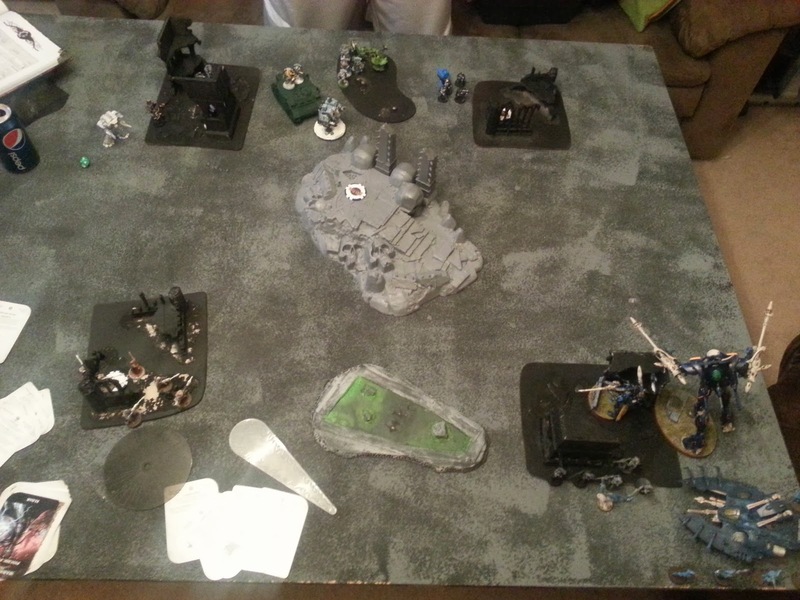 I was actually feeling left out having not brought a display/transport board, which is someting I didn't expect. DarkStar Preparations Continue, Dealing with a New Codex. A quick update from BeeCee. Raveners have been one of my favorite units look and fluff wise since they were first released in third edition. When I came back to the hobby, one of the first things I noticed was the new ravener models, which made the old ones I'd liked look pretty terrible. And yet, I'd never picked up any. 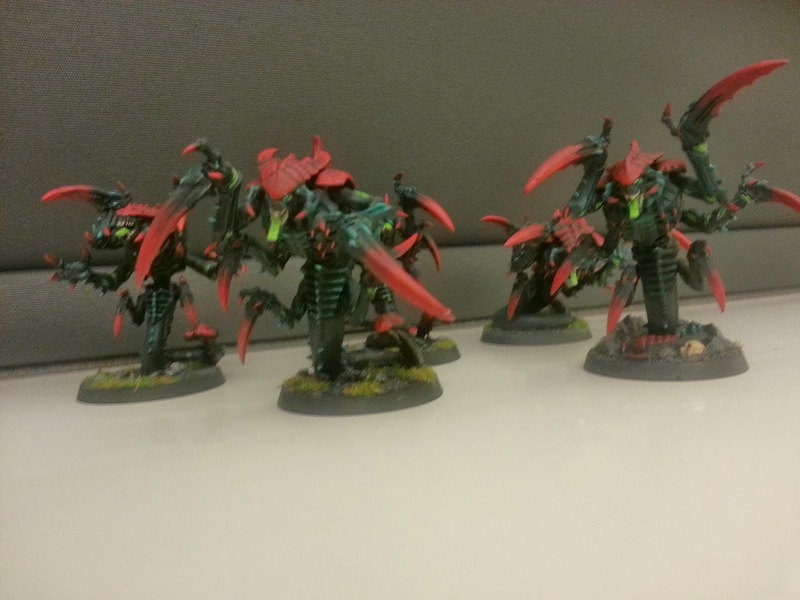 A few months ago, I picked up 8 (2 boxes, 2 metal) off eBay, but then they sat in my bits box as rumors of a new Tyranid codex swirled. With all the torso weapons, it's hard to definitively assemble them without the worry that the build would be terrible in a month. 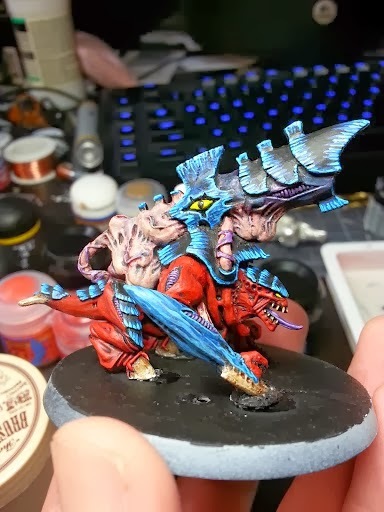 That said, they're also hard to distinguish, and one benefit of tyranids is that generally most people aren't sure what things are supposed to look like anyway. With Evan stepping up and showing what he could make with the Iron Hands and their chapter tactics, I decided to throw my hat into the ring and come up with a different take on a 1000 point Iron Hand Army. This is how I do my armies: Fluff and Fun for me. What is up everyone? We are a bit over a week out from the release of Clan Raukaan Iron Hands supplement and I have delayed this post for two reasons. The first is that Evan, Ron, and I had a game weekend planned the weekend this dropped so I couldn't type; too many bugs to kill. The second is that I wanted to get a game under my belt with the Iron Hands, which Evan was able to help with thanks to his Eldar, and I was also able to use them in our Mini Games that we did. 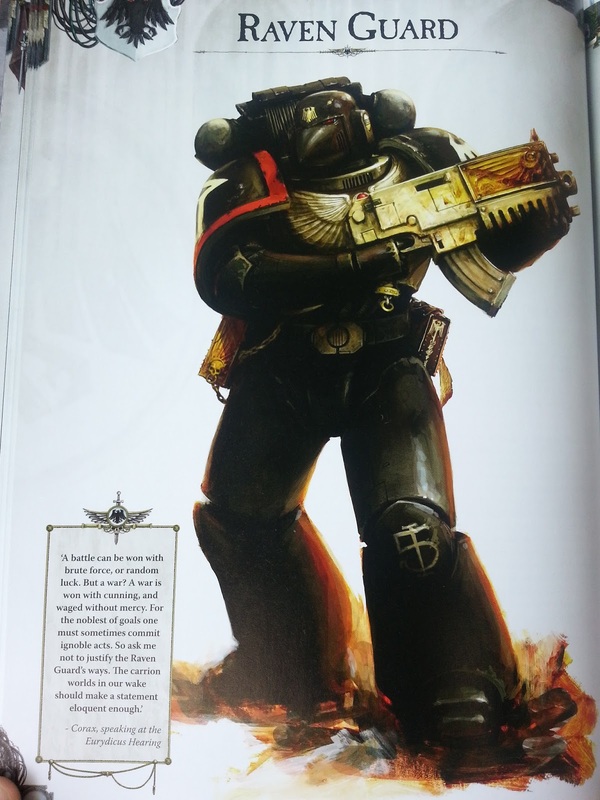 This is all about the Glory of the Iron Hands though and specifically the Clan Company of Raukaan. This is an awesome supplement with a lot of innovative rules, wargear, Warlord Traits, and Missions that help to create that feel of the mighty Iron Hands. To round out the weekend's gaming, Chandler and I faced off in a 1,000 point showdown on a 4'x4' board typical of our LGS's monthly tournament. Chandler brought a list using the brand new Clan Raukaan Iron Hands while I brought Eldar in a sort of cut down version of my 1,850 list. As the title suggests, I will be attending the SCARAB GT in January. 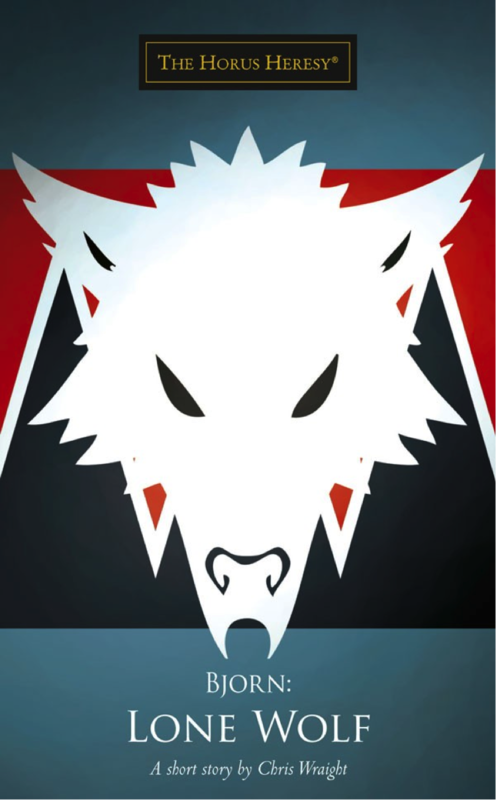 The guys from The 11th Company podcast are hosting and publicizing the event. Due to an apparent lack of knowledge of South Carolina geography, I was very surprised to see that this wasn't much farther than I traveled for NOVA. Being a Staurday/Sunday event, I could even attend without needing to take time off, so that's a bonus.